Is it an assigned topic or can it be one of your own choosing? Are you required to use certain types of materials, such as scholarly articles? Unless you're writing a book or dissertation, think about how much you can cover in a research paper. Select something that interests you! If possible, choose a topic that you find interesting and that you want to know more about. 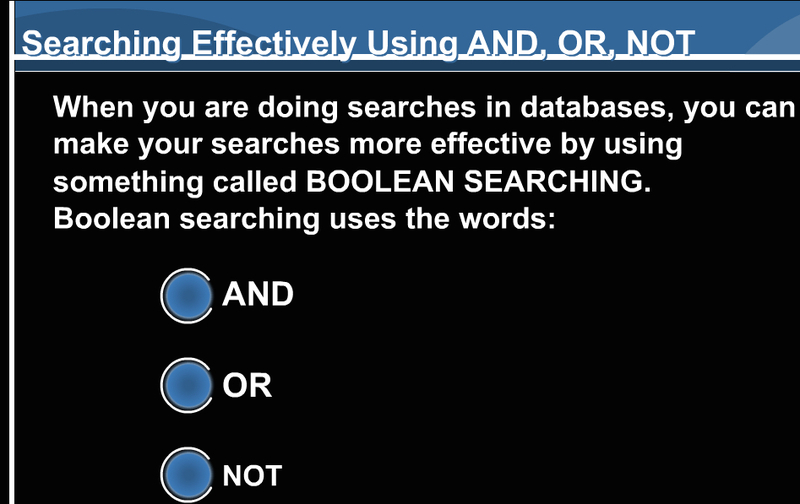 or this link to a Boolean Search Tutorial on how to use AND, OR, & NOT effectively while searching. Words for main or key concepts are known as keywords—important if initial search attempts don’t find much that’s useful. Look through reference sources, subject headings, and article abstracts to expand your list. 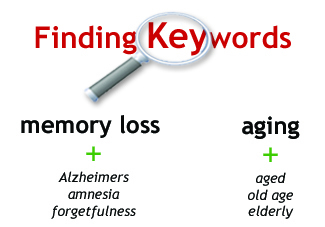 Sample topic: Is memory loss related to aging?